PHUKET: The two men and two women undertaking the Row2Rio challenge have launched into the third section of the trip – the longest leg of the journey with the most unknown factors that could end up making or breaking this unprecedented adventure. This week the team finished stage two of the trip, which saw them complete the 780 nautical miles from the Canary Islands to Cape Verde. 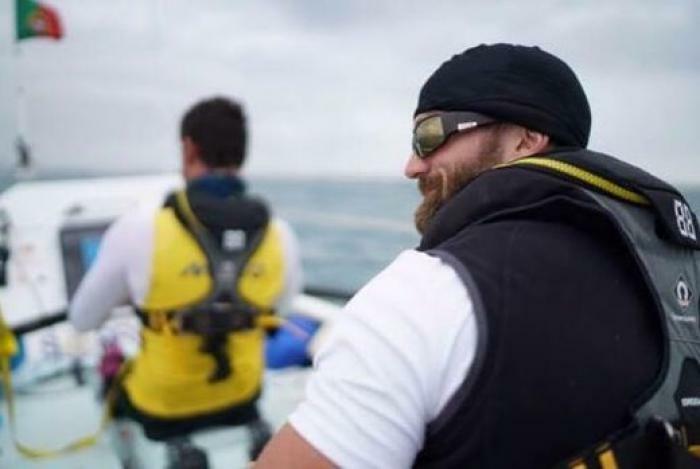 With full backing from the Ocean Rowing Society and support from ocean rowing experts, the team departed Portugal on February 29, beginning a 3,200 nautical mile man-powered journey to Brazil (story here). Mr Richmond – already in peak condition from incorporating a NeuroPhysics training program from Ken Ware into his weekly schedule of crossfit, climbing and adventure training – was invited to join the rowing challenge after one of the team members was struck with appendicitis just two weeks from their scheduled departure. Without hesitation, Mr Richmond jumped on a plane to meet with Susannah Cass from Ireland, Mel Parker, also known as ‘Big Wave Whisperer’, from the UK, and Jake Heath, also from the UK. Though Mr Richmond might agree with Mr Coelho on this point as well, it appears that food, especially Top Herd jerky, has become a priority in the lives of the rowers. “It’s funny what your mind goes to and what you crave out here. I’m craving a massive salad and sweet potato fries above all else. A new currency has formed at sea, the currency of food,” wrote Mr Richmond. “Food trade has begun and there are certain commodities that carry more weight then others. I have loads of chocolate so I can trade decently for Mel’s biscuits and nuts, but no one will give up their Top Herd jerky, no matter how many delicious treats I offer them. This jerky stands alone as the best I have ever had and is favored by all of us”. The Phuket Gazette was unable to confirm whether or not Top Herd jerky is a sponsor of the event, but if they aren’t, they should clearly be making a donation to the Macmillan Cancer Support Foundation, which the team is raising money for. “We fully support their ethos that no one should face cancer alone, currently one in four people are isolated facing cancer. Our target is 200,000 pounds of which 75,000 pounds will be to fund the boat (which we’ll sell at the end and donate the proceeds to Macmillan) and 125,000 pounds for the charity, which is enough to fund two Macmillan nurses for two years,” explains the Row2Rio website. Support their efforts to raise money for Macmillan Cancer Support by clicking here.